A full moon hangs over the Texas Hill Country, lighting up the landscape in this 92 second exposure. 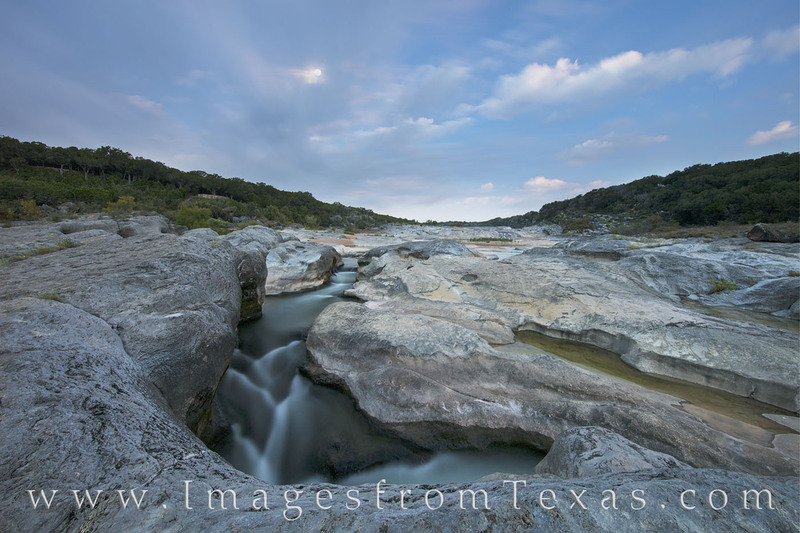 The length of the exposure allows this limestone canyon to appear as if it were daytime, and clouds drift across the sky before the morning light floods in. Photo © copyright by Rob Greebon.